Over the course of years, lots of startups have tried to leverage their content/community to sell stuff to users but have seen limited success. So much so that one has to try really hard to find some examples of content or community platforms across the world that have managed the crossover at a reasonable scale. Can you name a startup (content or community) that is able to successfully sell stuff at a reasonable scale to their users? Just so we are clear, here by commerce I mean transactions (visitors/user of a content or community platform buying stuff on the platform itself). While monetisation via ads and as affiliates have been proven models for long, commerce has been successful in rare exceptional cases. Through the course of a series of posts I’ll try to explore why some platforms could get the commerce play working while others languished. If you think about it, there are two broad ways for the 3Cs to come together. 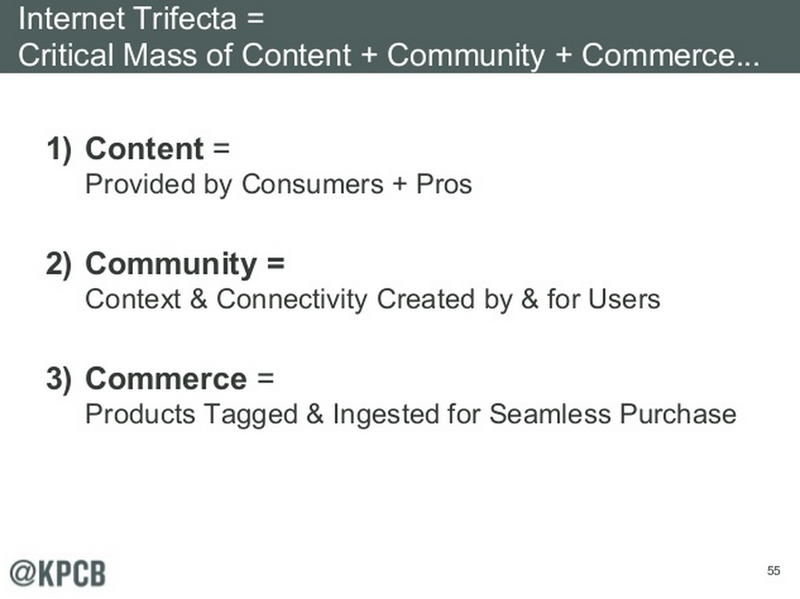 One way to look at Content and/or Community to commerce journey is like a funnel. Content/Community in that case will be Top of the funnel (TOFU) and Commerce, the final transaction will be Bottom of the funnel (BOFU). That is, more people will engage with the content and/or community (TOFU) and some of them will end up purchasing goods aka commerce (BOFU). Majority of popular consumer startups fall in two quadrants (Started as Commerce or Started as Content/Community). It is difficult to recall any startups that had both Content/Community and Commerce play from start. Empirically speaking, it looks like the journey from Commerce to Content/Community (Case 2) is well within the reach. Amazon has been doing it for ages in multiple ways (UGC and Content Acquisitions), in India I think Nykaa is doing a reasonable job. If one spends more time I’m confident a lot of successful examples of this category will come out. However, the journey from Content/Community to Commerce (Case 1) seems extremely arduous with only a handful successes. Low Captive User Base: Most users of content platforms are actually non logged-in visitors (Organic/Social Traffic over Direct Traffic). How will you monetise a user base that isn’t regular/loyal. Positioning: While it’s much easier to trust a content/community platform, when it comes to making purchases, the bar is fairly high. People prefer to go to experts. Who would you trust to deliver your order without any nonsense, Amazon or some upcoming content/community site?. Increasingly the mindshare in various commerce categories is already taken (Think Amazon, Swiggy, Zomato, Goibibo, Bookmyshow, Paytm, Myntra). Given the low switching cost on Internet, this challenge is particularly hard to cross. User Experience (for commerce): This one is particularly true for hosted community platforms. Imagine a community of food lovers, sports lovers on Facebook/Whatsapp etc. As mentioned in #1, the users in such cases are captive to the platform in question not to your group and to make things worse at one end, the platform experience doesn’t facilitate smooth e-commerce (Imagine buying something from a FB/WA group) and on the end hand, you can’t possibly migrate these users to your own site/app which might have a better commerce experience. 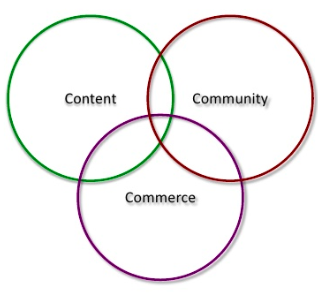 Because of the reasons mentioned above I believe it is extremely tough to upgrade from content/community to commerce. I’ll also go to the extent of saying in most cases the platforms in question are better of monetising via traditional channels ads, affiliates, events etc than to start their own e-commerce. As of the exceptions to the rule like Houzz, we’ll try to figure out what makes them tick in the next post in this series. This entry was posted in brands, content, e-commerce, Strategy and tagged 3cs, amazon, community, funnel, houzz, nykaa on October 4, 2018 by mayank.